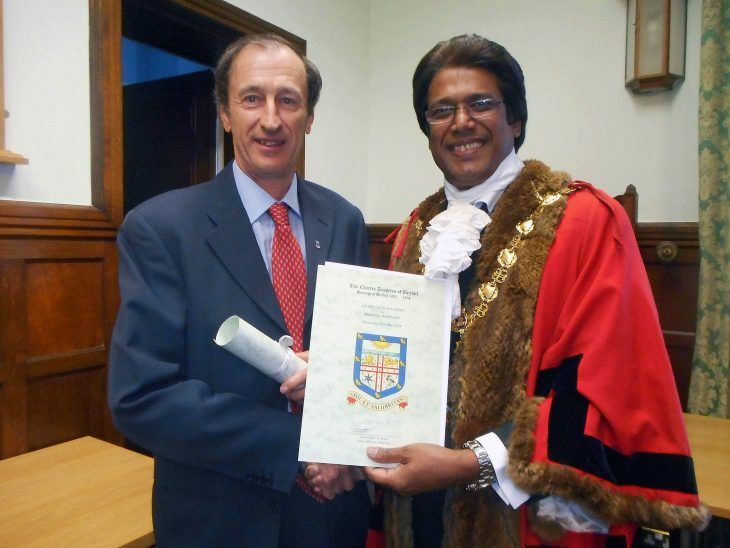 After just four months of activity, Bexhill Heritage Trustees were invited to accept the Charter Trustees Award – which brings us several months later to the evening of May 23rd 2018, where Bexhill Heritage was awarded the Charter Trustee Crest by the newly appointed Town Mayor Abul Azad. The Charter Trustees Award may well help with further projects and funding, and cementing a harmonious working relationship with Rother District Councillors when reaching balanced and stable decisions. Granted by the Herald’s College on January 21st 1907. 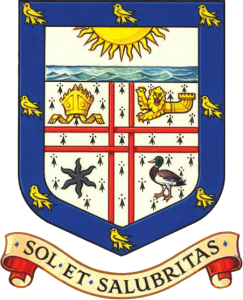 The Martlets and border are taken from the Arms of the County of East Sussex; the Mitre is that of the See of Chichester which, for a long period, held ownership of the Manor of Bexhill; the Estoile Sable is the crest of the Sackville Family; the Demi-Lion and the Demi-Hulk of a Ship are representative of the Cinque Ports – Liberty of the Sluice; and the Mallard is representative of the Brassey Family. The latin motto ‘SOL ET SALUBRITAS’ means ‘sun and health’. The coat of arms has the addition of a Martello Tower, which were built along the coast in preparation for Napoleon’s expected invasion.